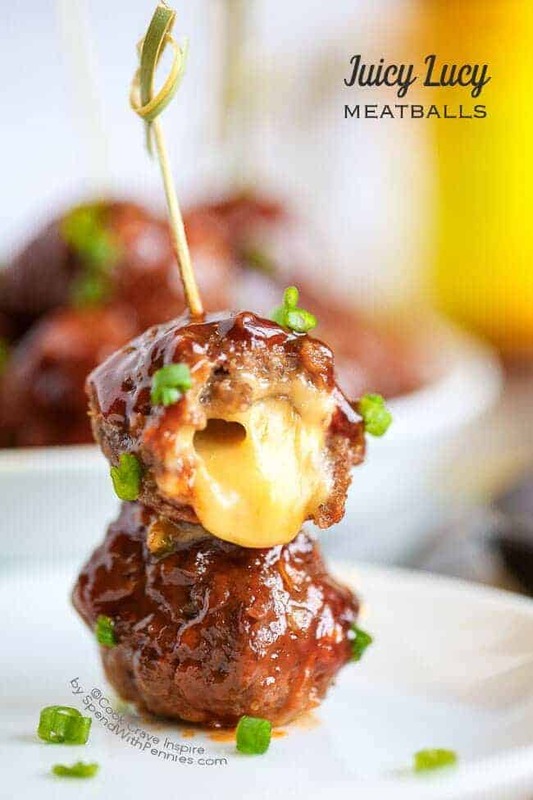 Friends… this is it… this is the show stopping appetizer you’ve been waiting for! This is the recipe that people are going to ask you for over and over again. If you’ve never had a Juicy Lucy (aka Jucy Lucy) you’ll want to add it to your bucket list! It’s basically an inside out cheeseburger… a beef patty with gooey cheese on the inside. Yum right?! 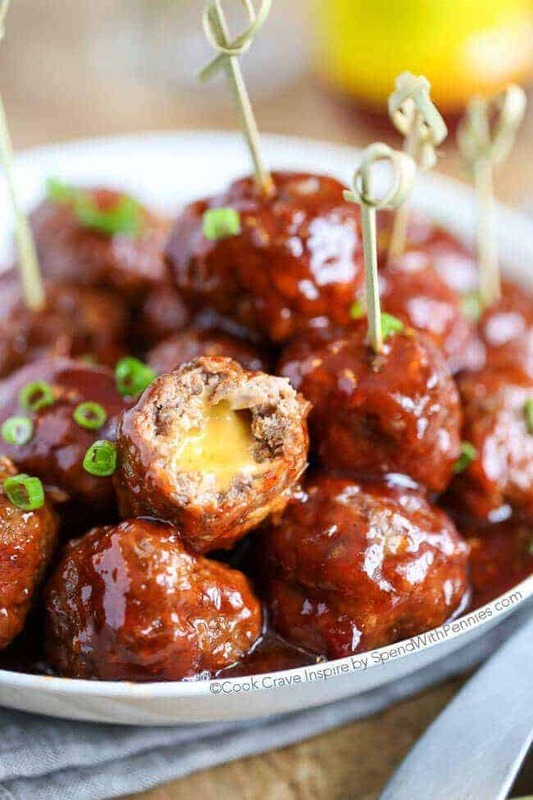 Of course yum, however, serving cheeseburgers isn’t always ideal … but serving meatballs is! 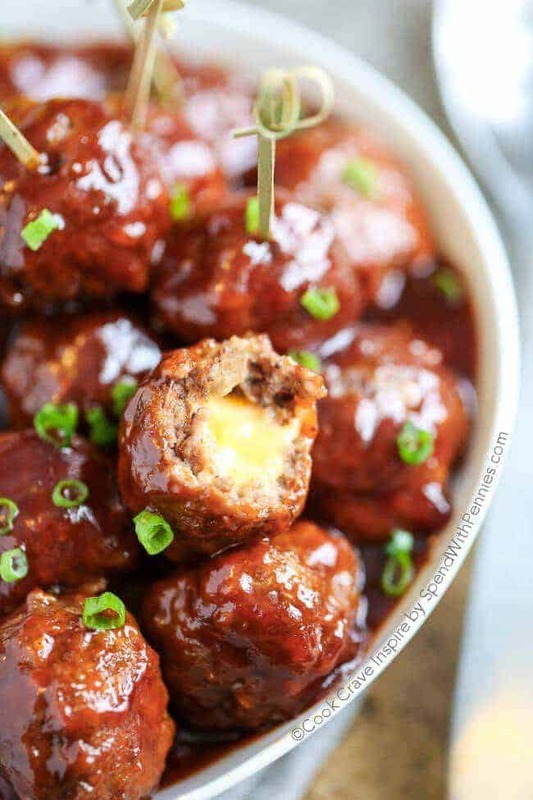 These cheese stuffed meatballs are simmered in a spicy sweet sauce and are completely irresistible… and of course perfect for game day! If you need to know one thing about me, it’s that I’m crazy for spicy things! 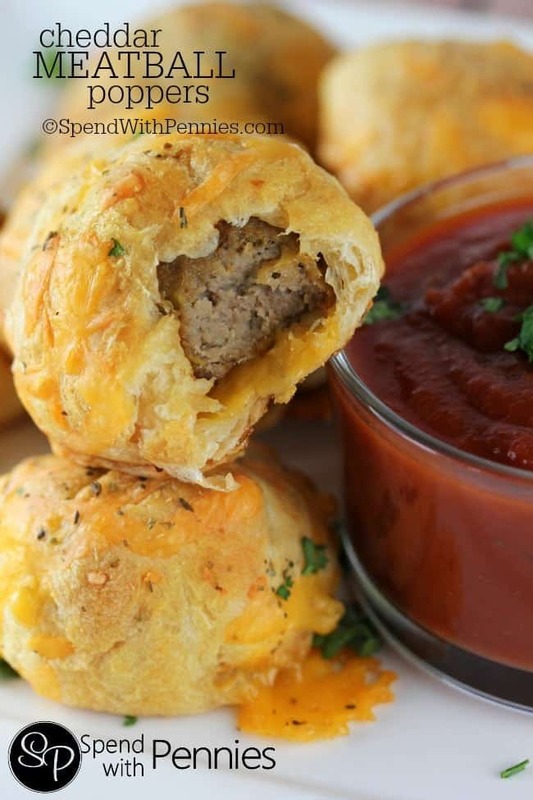 I love and pretty much require hot sauce on EVERYTHING, cheesy meatballs included! 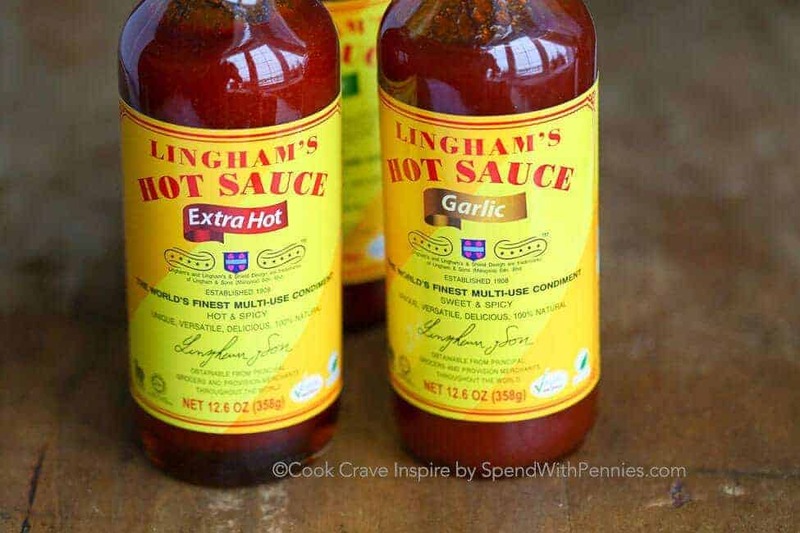 I’ve found that Lingham’s Hot Sauces provide the perfect amount of sweet heat and consistency for this sauce. Not only that, Lingham’s sauces are 100% all natural and have absolutely no bulking agents meaning you’re getting REAL flavor! (You can find them at your local Walmart). These sauces are perfect for dipping, dunking or adding a little sweet heat to any recipe! 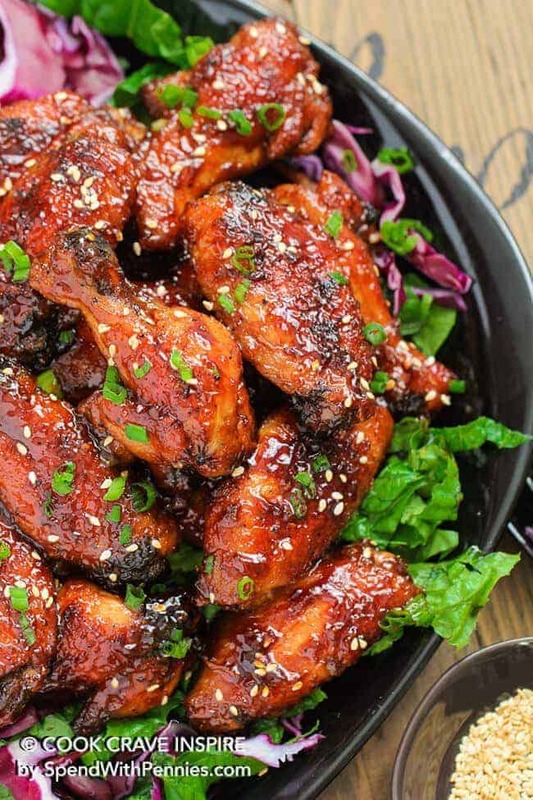 This recipe is delicious made with Lingham’s Hot Sauce (original) but they do have lots of other amazing flavors (like the Ginger Hot Sauce I used in my STICKY HOT WINGS)! You can follow Lingham’s on Facebook or Pinterest for inspiration! Combine onion, egg yolk, bread crumbs, Worcestershire sauce, Lingham’s Hot Sauce and salt & pepper. Mix until well combined. 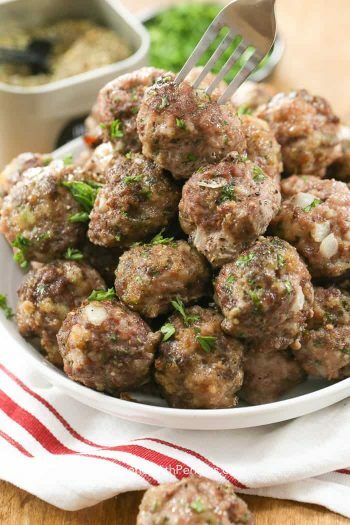 Add in ground beef and mix just until combined. 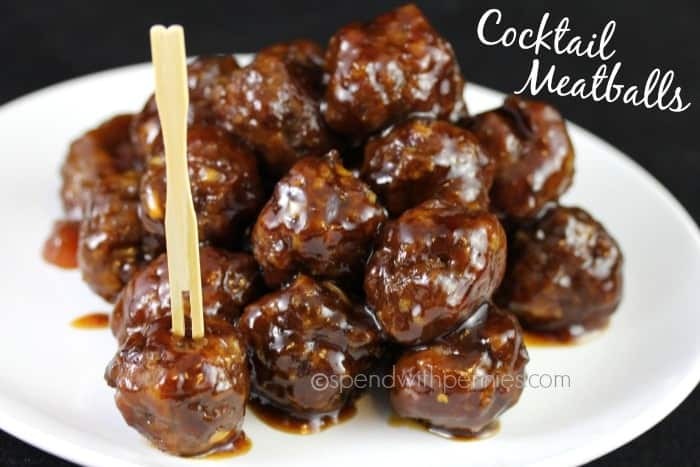 Divide beef mixture into 15 pieces. Flatten one piece, add a piece of cheese in the middle and wrap the beef around the cheese sealing it as best you can. Bake 15-18 minutes. (Don’t worry if you see the cheese leaking out, there will be lots more inside)! 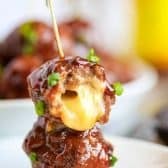 Amazing Cocktail Meatballs! 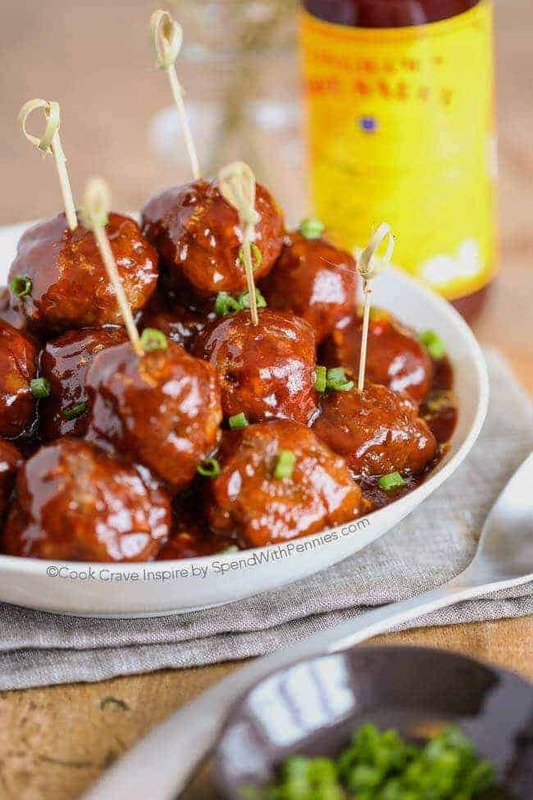 (Sweet and Sour Meatballs)!